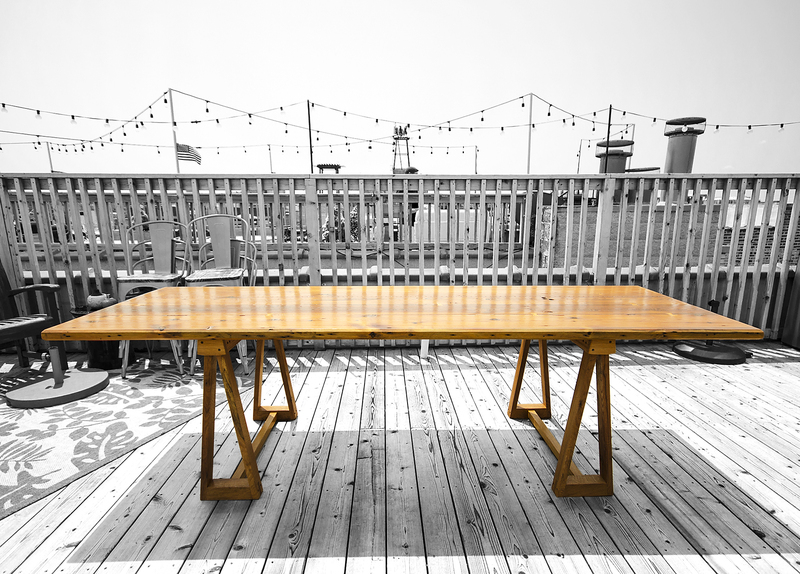 This table top is made from reclaimed pine and douglas fir from Re-Building Exchange. 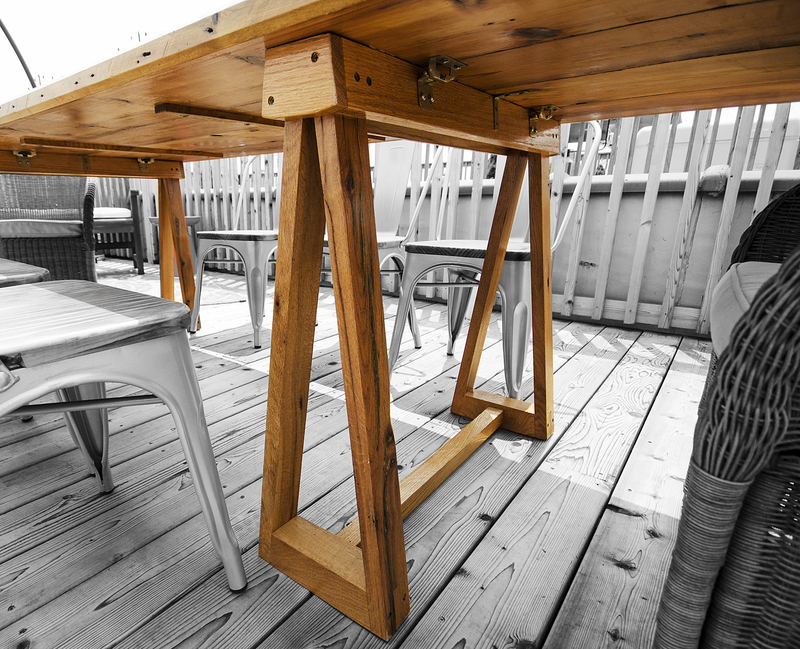 The “bowtie” joints are functional as well as aesthetic. 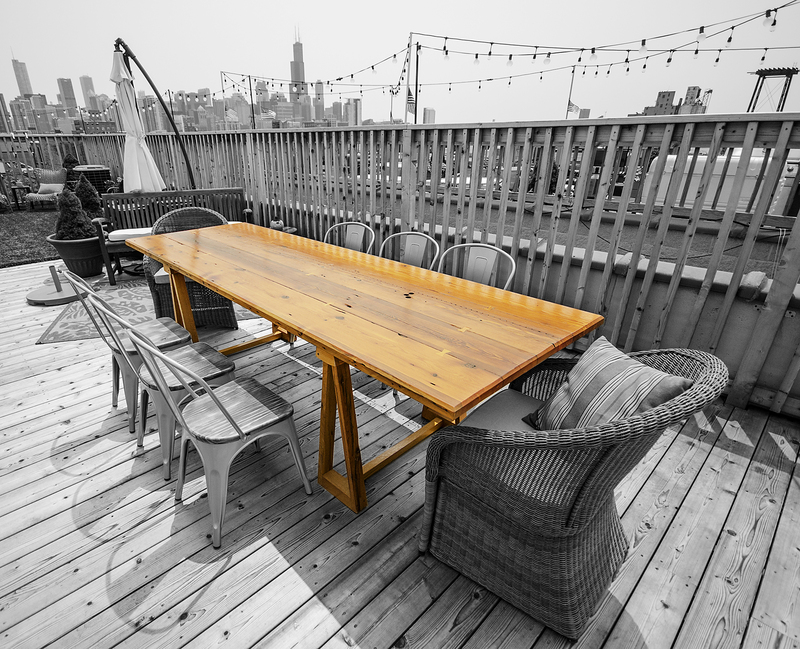 The sawhorse bases are made from air dried, old growth white oak that was milled from a tree in Chicagos Rogers Park. 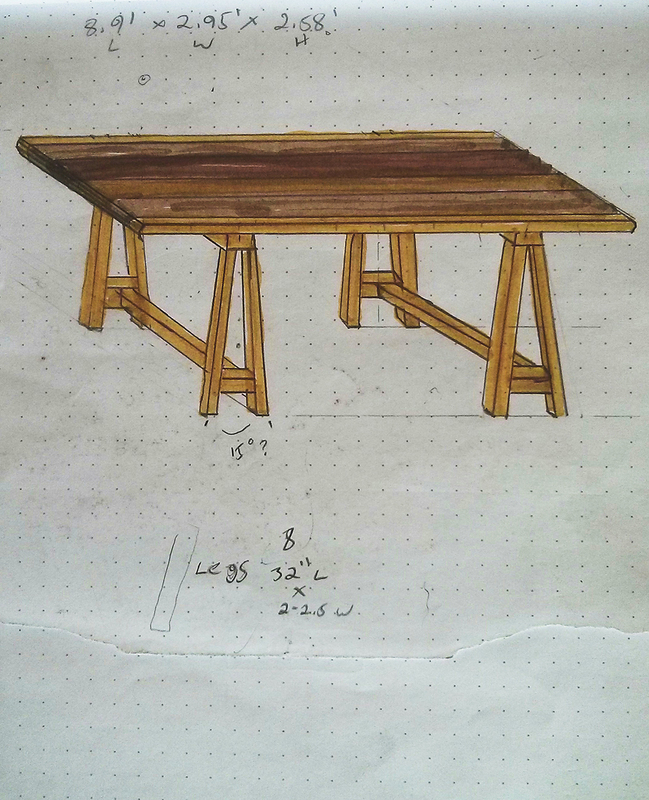 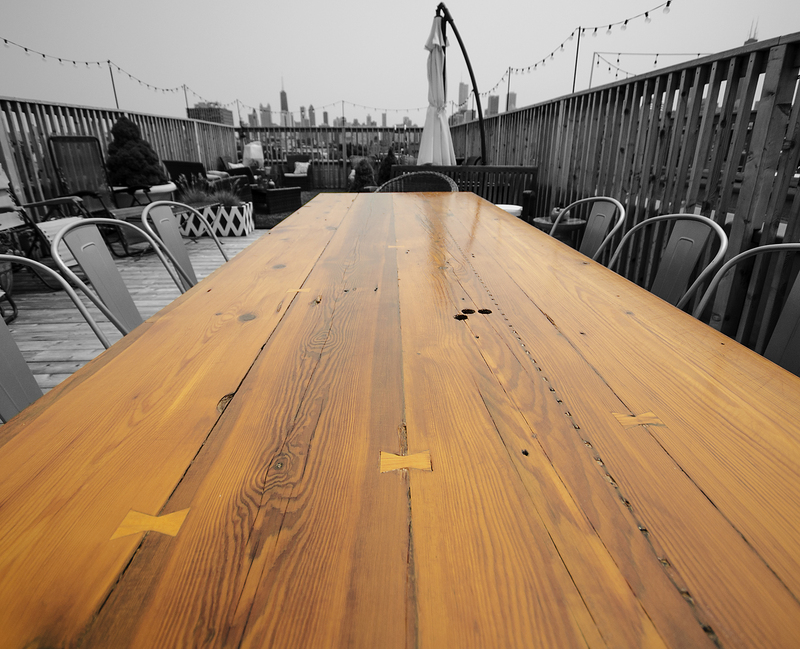 The table was finished with pure tung oil and marine grade varnish.